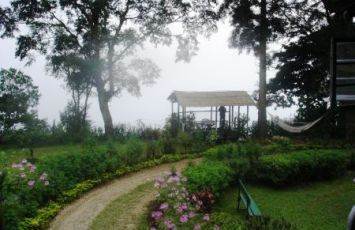 Selim Hill is a sprawling organic tea estate located in Kurseong area and in Darjeeling district. It's perched on a hill slope with varying elevations that rises up to some 3,500ft and facing the mountain on its north. The estate is spread over a gross area of 370 hectares out of which tea plantation is done in 170 hectares. It is spilt into upper and lowers segments and includes four villages. There are over 200 workers employed in the garden. Selim Hill was established in 1870 by a British planter known as Henry. Nobody seems to know why the estate is known as Selim Hill. One theory is that the local workers and villagers used to call Henry as "Selim Saheb" and therefore such a name. 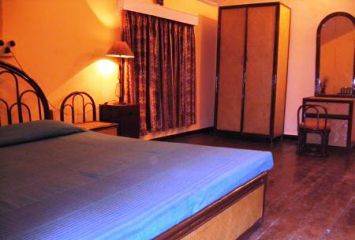 The tea estate offers lovely accommodations in its well known Selim Hill Planter's Bungalow which is a two storied building made of wood and stone. This colonial planters' bungalow is some 150 years old. The approach is through an wooded path surrounded by ferns and Himalayan cedars. Right in front of the bungalow, there is a beautiful flower garden. There are four large double bedded rooms upstairs with attached baths and equipped with modern amenities including king size beds and fireplace. The floors are wood finished. There are large wooden cupboards and dressing mirrors in the rooms. The rooms offer wonderful vista of the mountains and gorges through the windows. There is a wonderful common living room with windows all around offering lovely view of the landscapes. With wooden floor, paneled walls, a mix of wooden and classy wrought iron seating, the living room is ideal to relax and have a cup of tea as you soak in the views. The dining room and the kitchen are in the ground floor. The estate offers different meal plans including EP/MAP/AP etc so that you have a choice of meals. While the food prepared is planter's choice, the cuisine is usually traditional Indian and quite spicy. The vegetables and spices are mostly sourced from the backyard organic garden. If you don't like spicy food, tell them in advance. Outside the dining room there is a large veranda with seating provisions. And next to that is a wonderful garden that has many trees and varieties of birds. This is the main garden and a great place to relax and read a book on a sunny afternoon. To me the highlight of Selim Hill Bungalow and its offerings are the two gazebos or hut like roofed structures, one in front and the other in the backside. From the gazebo in front, you get a sweeping view of the Siliguri plains. The backside gazebo is in the garden behind and on an edge of the hill. From here the view of the mountains all around is spectacular. There are swings, hammocks and benches in the garden as well. Walk through the bio dynamic tea gardens of Selim Hill, see how tea is plucked, chat with the garden workers to understand their lives in the gardens, watch live tea processing in the factory. View the Mahananda and Balasun river valleys. It's a wonderful sight to see the two rivers flowing side by side at a distance. Take a guided tour of Mahananda Wildlife Sanctuary which is located close by. The sanctuary is spread over 160sq km at a varying elevation levels and is home to Royal Bengal Tigers, Elephants, Bison, Leopards, Deer and many other species of animals and birds. Take a pony ride along the scenic route to the highest point in Selim Hills. Visit the nearby Agony Point Loop in Tindharia. This is the 4th loop in the original design of Darjeeling Himalayan Railway's narrow gauge track on which the toy train runs. The name comes from the shape of the loop which is tightest amongst all. The train takes a steep spiral loop here and the view around is dramatic. Visit Mother Teresa's orphanage 'Santa Bhawan'. Take a guided trek through the hills. Visit the sunrise and sunset points. The Bungalow has a library with nice collection of books on history, travel etc. There are provisions for tennis and badminton. The winter temperature ranges between 3 to 8°C, and the summer temperature between 12 to 20°C. Monsoon period is between July to August (and even early September). 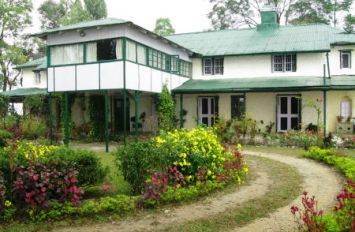 Selim Hill Tea Estate is located in Kurseong area between Siliguri and Darjeeling, and close to the Gayabari railway station (of the Toy Train). From Siliguri it's 40kms away and takes about one and half hours to reach. From Darjeeling the distance is 50kms and takes about 2 hours by car. Update July 2016: Selim Hill Tea Retreat is not taking bookings directly at present. The lack of maintenance and negligence has resulted in deterioration of the Bungalow conditions and the premises. 1) Check out Darjeeling Tea Tourism for many other great tea estates along with their offerings. 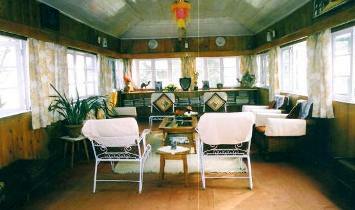 2) Check out Off Beat Stays to know about the amazing places to stay around Darjeeling.